Volkswagen Original Parts are specifically designed for your Volkswagen vehicle. These parts are able to maintain the reliability and resale value of your Volkswagen vehicle while improving its performance. 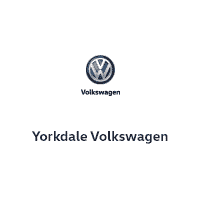 At Yorkdale Volkswagen in North York, we have a vast inventory of Volkswagen Original Parts to offer our customers. Our Volkswagen Original Parts department is fully stocked with batteries, light bulbs, windshield wipers, spark plugs, and much more. These parts are German-engineered and specifically designed to fit your Volkswagen vehicle. Yorkdale Volkswagen only uses Volkswagen Original Parts in all of our repairs in order to keep your Volkswagen vehicle on the road for a long time. All Volkswagen Original parts come with an unlimited 2 Year / unlimited km warranty. Come discover our large inventory of Volkswagen Original Parts. If you can’t find the part that you’re looking for, we’ll order it for you and notify you once it arrives. You’ll be able to install it yourself or let one of our experts take care of it. At Yorkdale Volkswagen, our parts advisors are always ready to exceed your expectations in term of customer service. Visit us today to discover our extensive inventory!